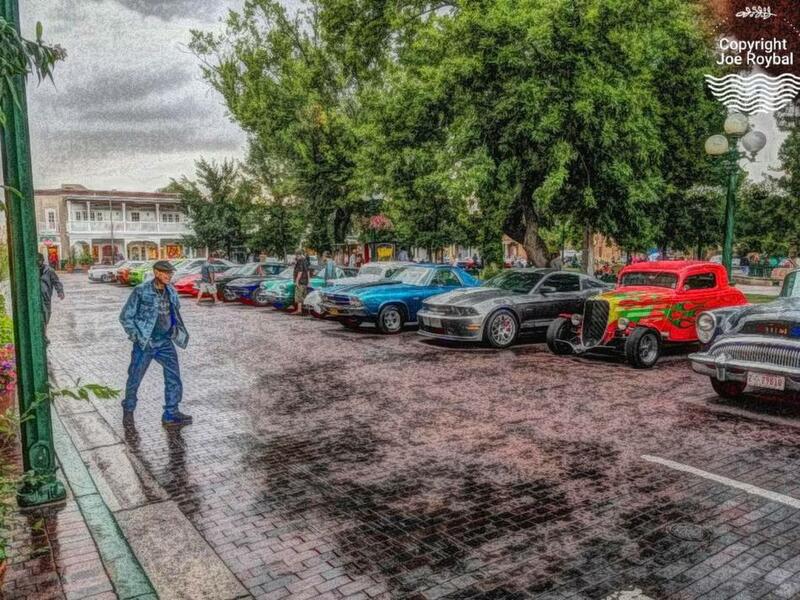 A phone image taken with a Samsung s8 at a local car show this summer at the Santa Fe Plaza and processed with an app called Painteresque. The converging lines of the street, foreground to background, provide a great feeling of depth in this two dimensional image. Love the texture in the brick street, and the red hot rod with flames. Beautiful work, Joe! Wow- this looks like an old-fashioned postcard. Love the style, and your composition is excellent as mentioned by Ron. One of you best of this series. The composition and use of the different coloured elements really make this one, Joe!